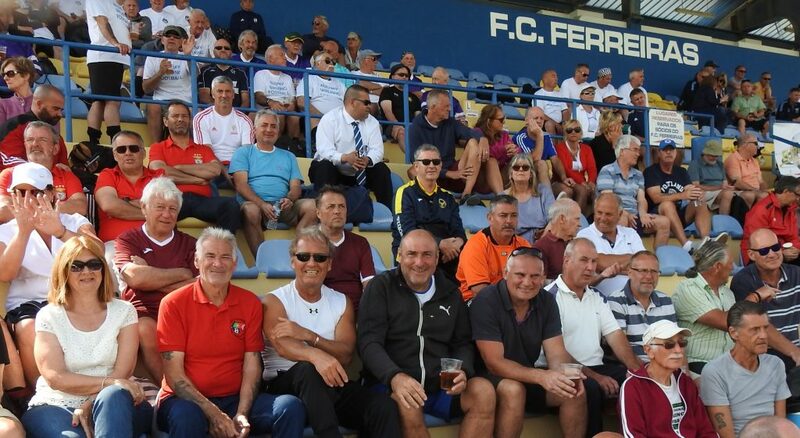 They came from near-and-far; by plane, boat, rail and road but on arrival at the Estádio da Nora, Ferreiras, Albufeira it was all about walking! 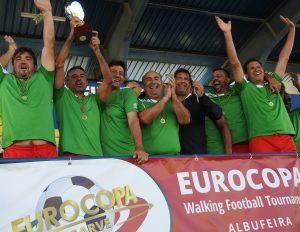 The EuroCopa Walking Football Cup, organised by Algarve Football Tours, attracted teams from France, Scotland, England, Spain, South Africa and Portugal. 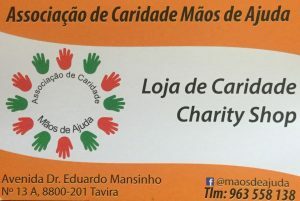 Over three hundred mature players ranging from 50 to 80+ years-of-age donned ankle & knee supports and strapped up aged joints before embrocating muscles with liniment ready for two days of hectic competition at a sport that was only introduced to the Algarve five years ago. 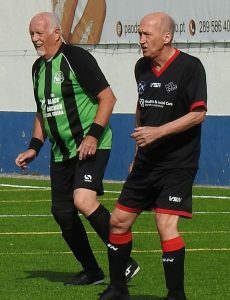 Great strides have been taken in that time mainly due to East Algarve Walking Football, Browns WF (Vilamoura) and Lagos Strollers attracting teams to the excellent astro-turf pitches and stadia in the region. 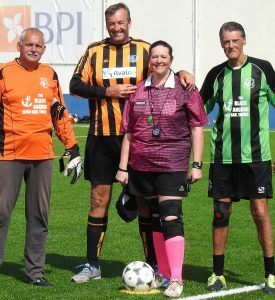 The EuroCopa Tournament was split into two sections – 50+ years and 60+ years – and after a warm welcome from Gary Thomas the action got under way. It might have been the 1st April but there was no fooling about by teams keen to unseat last year’s champions Sheffield United. On the playing front England was represented by Hartshill (Warwickshire), Cottingham (Hull), Clacton (Essex), Rushden (Northamptonshire), Brackley (Northamptonshire), Northwich (Cheshire), Fulham (London), Oxford and Sheffield. From Scotland came North Lanarkshire Auld Gits WF whilst Aulany (Paris) WF flew the flag for France. 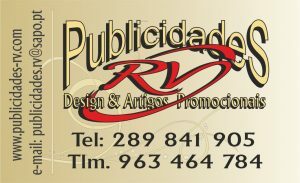 Esquina Park WF (southern Spain) and Luso Africa (South Africa) completed the foreign line-up. A strong contingent from Portugal included Benfica (Lisbon), Silver Coast Strollers (north-west Portugal), Lagos Strollers, and Browns (Vilamoura). 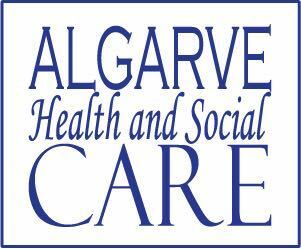 East Algarve Walking Football entered five teams across the two age groups. 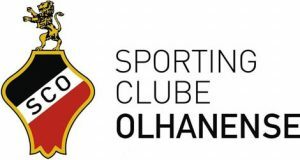 In the EuroCopa 60+ Tournament it was Brackley Sinners who took top spot from Brackley Saints with North Lanarkshire in third followed by Aulany and EAWF Olhão. 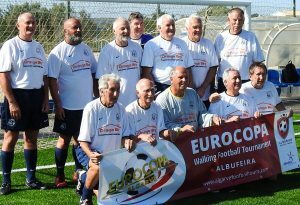 Lagos Strollers won the 60+ Bowl Competition with EAWF Tavira finishing as runners-up. 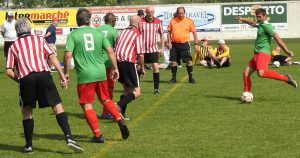 The EuroCopa 50+ Final between Sheffield United and Luso Africa was full of fast, skillful walking football with the team from the southern hemisphere taking the lead in the first period. The Blades struck back to level and take the tie to penalties with Luso Africa edging home 2-1. Clacton Knights took third place with a 2-1 victory over Esquina Park, Spain. After two days of intensive activity and 149 games it only remained for Paulo Dias, Chief of Staff to the Mayor of Albufeira, to present the trophies and thank everyone for making the event an outstanding success. The players and supporters then enjoyed a convivial BBQ where old acquaintances were rekindled and new friendships made. As one septuagenarian said, “The adrenalin rush is something that I really missed and to get that back at my age has taken years off me”.